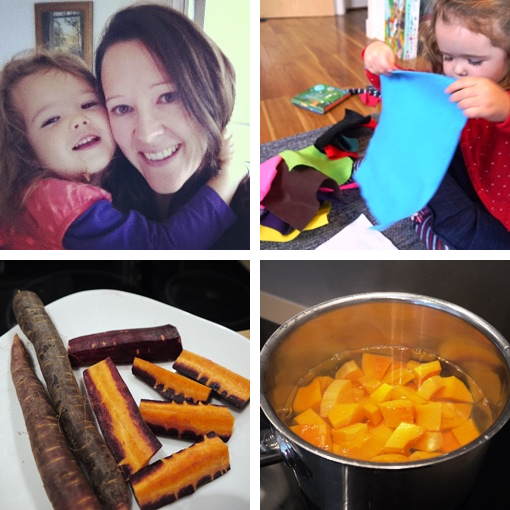 A quick snapshot of some moments from last week. 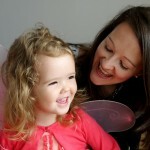 Mummy and Imogen having some Instagram fun. Sorting through different colours of felt in preparation for making Christmas crafts. The incredible purple carrots that were in our Abel and Cole veg box. Boiling some butternut squash to make Pumpkin and Apple Muffins. 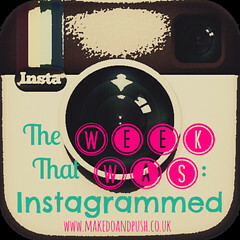 Linking up with Make, Do and Push! 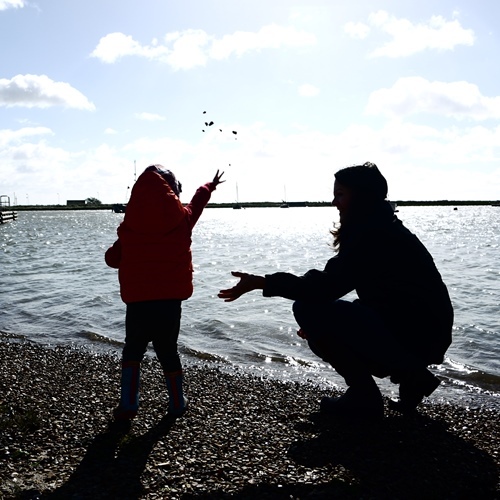 Orford Quay in Suffolk is home to boats, birds, fish and the local fishermen who venture out each day to catch a variety of fresh seafood which is sold locally. 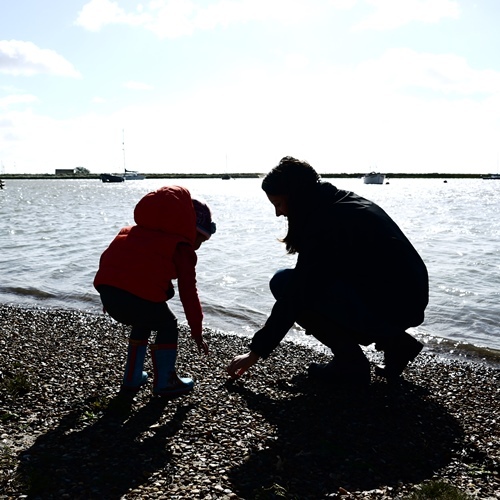 We went for a morning walk and stopped by the water to see how far we could throw little stones in. 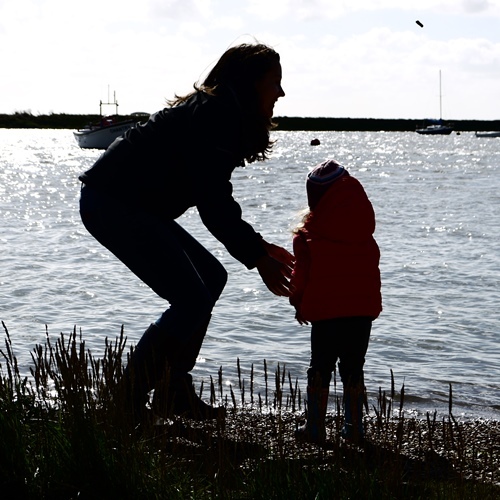 The tide was high and the water reached over the footpath that meandered around the shore so we played on the beach that we could access. Imogen throws pebbles in. Imogen wanted to wear her water shoes so she could go for a swim. After some convincing and dipping her hands in the water even she conceded it was too cold! 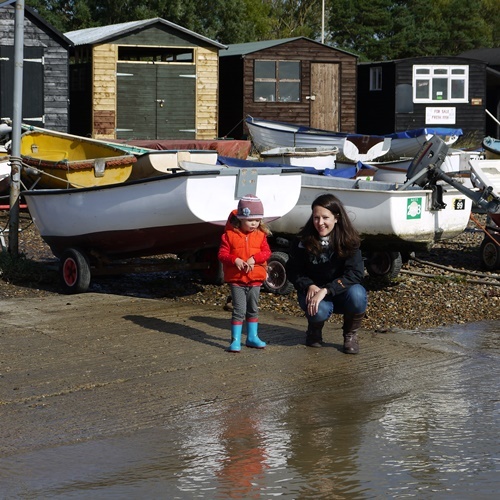 Mummy and Imogen by the boat sheds. Time to warm up with a babyccino at the cafe on the waterfront. Linking up with the AWARD winning Fiona from Coombe Mill for outdoor Country Kids fun. Nutritionally, babies need breastmilk or infant formula until they are one year old. From the age of six months full-fat cow’s milk can be used in cooking and with baby’s breakfast cereals and cow’s milk can be introduced as a main drink from the age of 12 months. 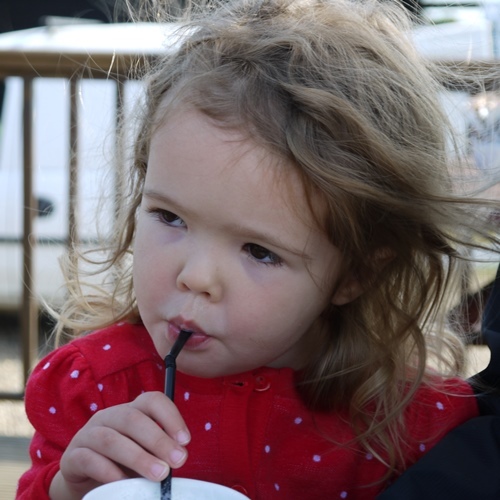 Dairy is an important part of your child’s diet providing essential nutrients such as calcium. When you start weaning your baby at around six months of age you can begin to slowly introduce a variety of foods. Dairy can be given to baby from the age of six months in the form of cheese but avoid giving blue cheese or soft unpasteurised cheese, such as Camembert and Brie, until your baby is at least one year old. Blue cheese and unpasteurised cheese contain live bacteria which carries the risk of food poisoning. Yoghurt is a good source of dairy for baby and can be given from the age of six months. Some babies are allergic to cow’s milk so it is important when weaning your baby to introduce foods one at a time over a few days to check for any allergic reactions. You should seek urgent medical help if you think your baby is having an allergic reaction. A food allergy is when the immune system reacts to a certain food protein resulting in a physical reaction which can occur immediately or within three days. If your child has cow’s milk allergy the symptoms will start when cow’s milk is introduced into their diet. Symptoms of cow’s milk allergy could result in diarrhoea, vomiting, skin rashes, stomach cramps and difficulty breathing. In rare cases cow’s milk allergy can cause anaphylaxis. Cow’s milk allergy is a common food allergy in children and most children who have this allergy grow out of it by the age of three, although it is estimated that 20 per cent of adults will continue to have cow’s milk allergy. Aside from cow’s milk products there are many food sources that contain high levels of calcium. So if your child does have an allergy to dairy products you can still make sure your child’s diet is rich in calcium. Some good sources of calcium rich foods include sesame seeds, sardines canned in oil, spring greens, tofu, watercress and kale. 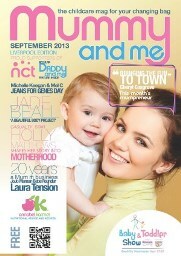 This article was published in the September 2013 edition of Mummy and Me Magazine. I offer one to one nutrition programmes for breastfeeding, post pregnancy weight loss, weaning, weight management and health. Contact me.